While I’m here just going to and from project when I really should focus on something and finish it, here is a little dessert I made yesterday that is one of my go to’s. It’s really simple and it came to me when we were living in Jax. Things were a bit tighter financially at that point so I always tried to find thrifty ways to prepare meals/desserts. What can I say? We have a thing for chocolate over here! 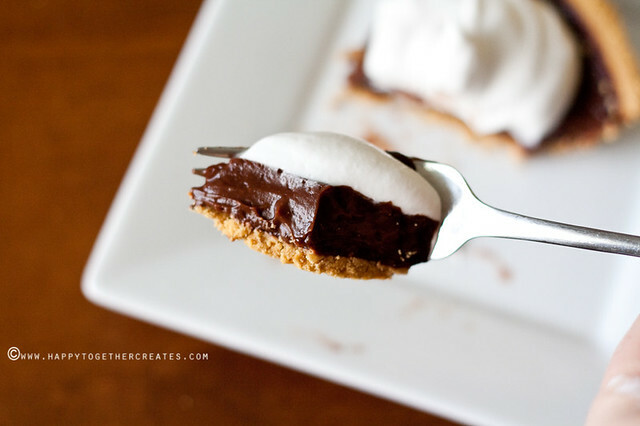 I was making chocolate pudding a lot and decided that it would taste good with a yummy graham cracker pie crust. So I put it together and topped it with whipped cream and an instant hit. 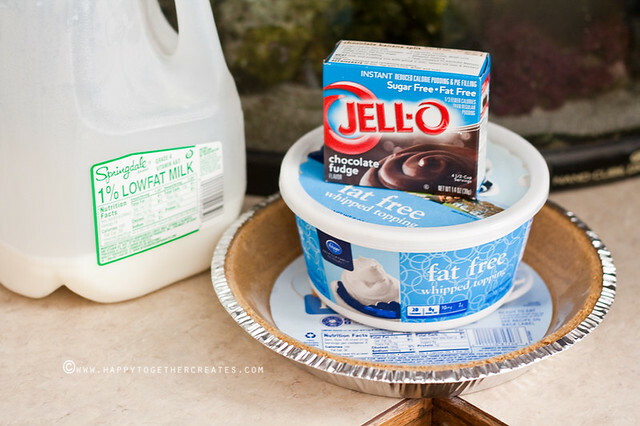 I just buy the instant pudding, have J whisk it with the milk for two minute, pour it in the pie crust (one that is ready to go), put it in the fridge for a few minutes and that’s it. So simple. It goes really fast in this house. I mean really fast! Thank you everyone for all the kind comments about J’s elephant 🙂 I plan on trying to do a pattern to post for next week so anyone else who wants to can join along. She’s drawn a raccoon for this month. Now I have to see if I can make it work! wow, so easy! 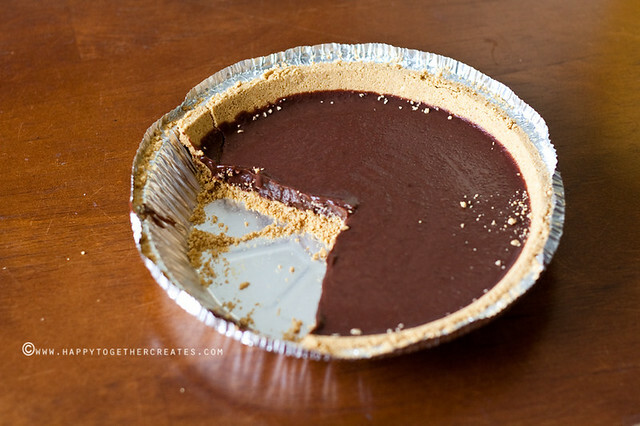 Regular pudding usually has me craving something more but I’m sure adding a pie crust would do the trick! I know it sounds silly but this is my all time fave!!! I am 30 years old and I have loved it since I was a kid and even ask my mom to make sure it is on the table at Thanksgiving and Christmas!! That isn’t silly at all! I hope that for my daughters too 🙂 How sweet! Yeah- it wouldn’t take long for my plate to be clean like that. YUM. It truly goes way too fast! 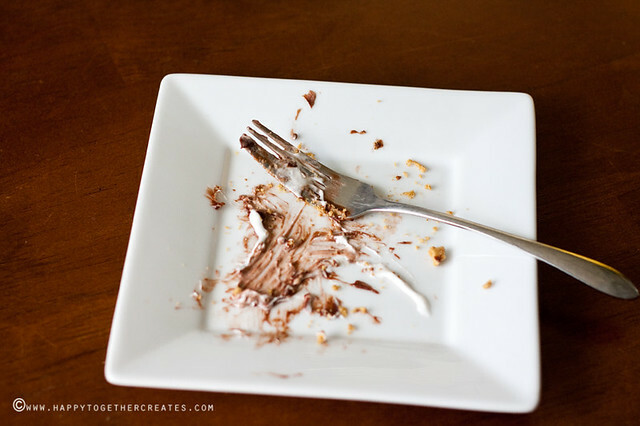 I did exactly this when I was first married and we didn’t have a dessert after dinner! once in a while I’d throw mini marshmallows in it. 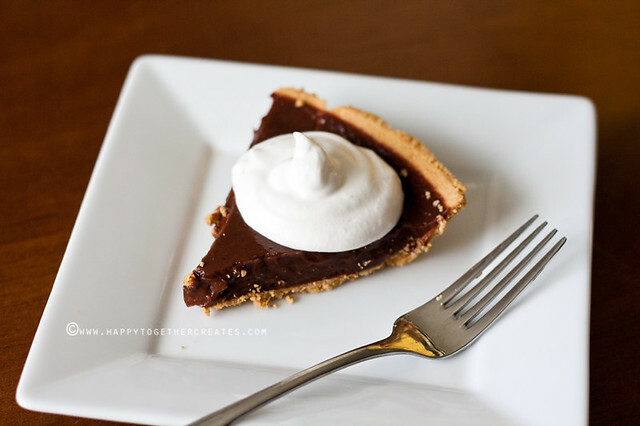 One of our favorites too but after I make the pudding I add the whip cream and blend them together – makes it almost like a chocolate mousse pie!